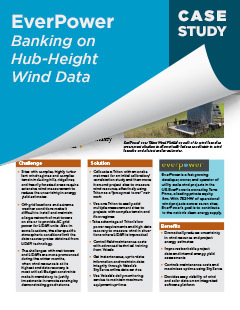 Innovations in measurement technology are critical to obtaining accurate wind data at the hub height of today's tall turbines, but verifiable accuracy is what matters most to developers and investors. Clients rely on wind measurement data to make major project investment decisions and it is critical that we provide data they can trust. 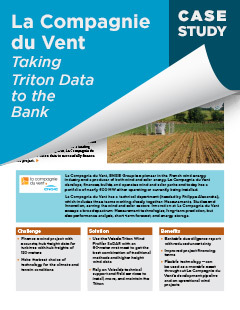 To assist our customers in using Triton data throughout project development and wind energy operations, we continuously validate Triton's performance and accuracy. Triton is as accurate as a met tower — not just in one carefully controlled test experiment, but over years of commercial field use, representing tens of thousands of data hours. In April, the IEC released a long-awaited new edition of its standard for wind turbine power performance testing. The standard includes guidance for using remote sensing systems such as SoDAR and LiDAR. Now, wind farm operators have a way to conduct power curve testing more easily, and wind farm developers have better guidance about how to determine the accuracy of remote sensors. Or do they? Join industry experts June 1 for a free webinar to learn about the revised standard's practical implications for remote sensing users. Wind developers and utilities rely on Triton to develop projects faster and better, and operate wind parks more efficiently. 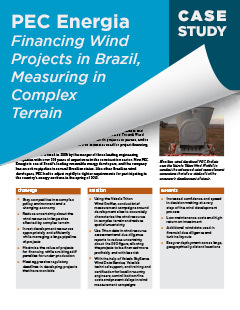 A ground-breaking study by DNV-GL quantifies the typical benefits of using Triton in project financing. The paper compares a typical Triton measurement campaign with a tower-only approach in several project scenarios and concludes that Triton provides greater return on investment. Download the white paper to learn more!